If you check out the results of our latest poll, you will see that the large majority of voters have favored the name “The Stash” for the new section of our website. Now, we need you to submit some good stuff for us to put in here. We’re looking for pictures of your nug, pictures of your bongs or pipes, pictures of joints or blunts you rolled, recipes, stories about smoking pot. Give us what you got. We’ll give you guys a little something to get you started, but think of “The Stash” as your stash. Let it be inspiration for you to smoke weed everyday of your life. Without further adieu I will let you go on and enjoy “The Stash”. PS: Here’s the pride and joy of the MJMB collection. It’s no ROOR and it has no percolator, but it will knock you upside the head. 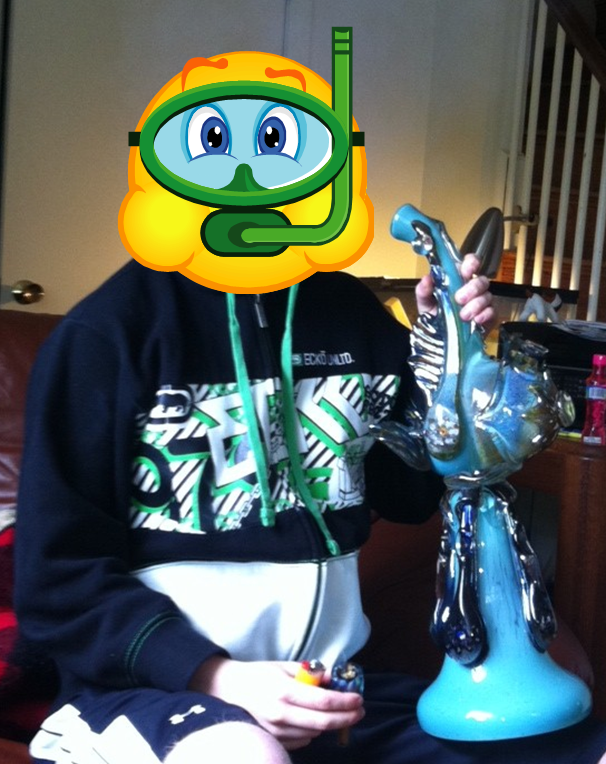 You ever seen a bong like that?